The City of Bristol Community Emergency Response Team (CERT) is comprised of volunteer citizens, who are trained in basic life safety and emergency preparedness skills. The program is community based in order to provide rapid and safe care for our residents and to provide support to the City’s emergency personnel in the event of a major incident or large scale disaster. 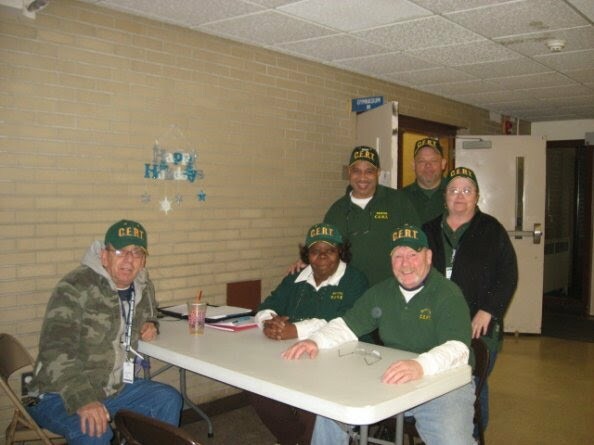 The Bristol CERT Team has made Shelter Administration its primary focus as a means of building team and community awareness, trust and reliability. The team has and will continue further training in order to provide residents and first responders with the most effective support. It will also focus on public education in order to increase the emergency preparedness of all residents in the community. You'll find our team out and about at many Bristol area events as well as during a crisis such as when the Bristol CERT helped manage the shelter during the wind storm during December of 2009. Stop by and visit with us!